A major code change in the 2015 International Building Code (IBC), which will be the basis for the soon to be adopted 9th Edition of the Massachusetts State Building Code, that designers, contractors, and facility managers will want to be aware of is a new exception that allows the omission of smoke dampers at HVAC duct penetrations in smoke barrier walls in Group I-2 occupancies (Hospitals). To qualify for the exception, the HVAC system must be “fully ducted” per Section 603 of the International Mechanical Code and the area is required to be protected with quick response sprinklers in accordance with Section 903.3.2 of the IBC. These conditions should be easily satisfied in new construction. If you’re looking at removing existing smoke dampers from service based on this requirement, documentation would need to be submitted to the building official that the new construction requirements are met. Section 701.2 of the International Existing Building Code (IEBC) only permits the removal of existing life safety devices where the requirements of new construction are satisfied and the work is approved by the authority having Jurisdiction (AHJ). Accredited Hospitals are also subject to NFPA 101, The Life Safety Code, 2012 Edition as adopted by the Center of Medicare and Medicare services. An exception has existed in NFPA 101 since 1991 to omit smoke dampers at penetrations of smoke barrier walls. The ICC formed an Ad Hoc committee with the American Society of Healthcare Engineers (ASHE) in an effort to get better alignment of the code requirements between the building code and life safety code. The impact of this code change is significant. A smoke damper requires relays to the electrical and fire alarm systems in a building and can cost anywhere from $5,000-$10,000 per damper installed. A new hospital construction can often require dozens of dampers per floor, so the upfront cost savings can be impactful. Further, facility managers are required to test smoke dampers 1 year after initial installation and every 6 years after that. This exception will also reduce the future testing and maintenance costs. The basis of this code change is seated on the premise that the elimination of these devices is not negatively impacting the life safety in the building. Historical fire data and experience in hospitals shows the combination of quick response sprinklers with redundant levels of compartmentation are effective in preventing the spread of smoke and hot gas beyond the area of origin. This exception applies to Group I-2 occupancies only and thus, ambulatory care facilities would not qualify. 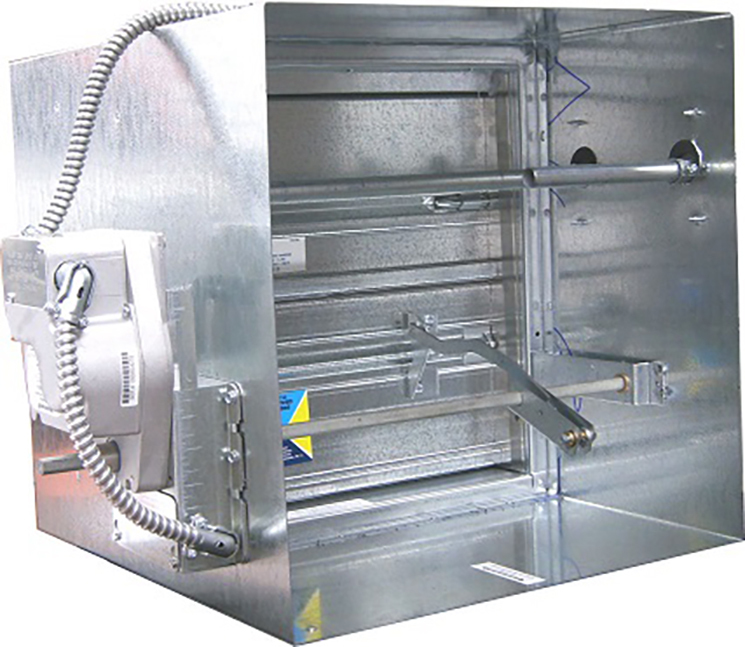 Additionally, smoke dampers would still be required at penetrations of elevator lobbies and 2 hour shafts, horizontal exits, and occupancy separations. If you’re interested in learning more on how to implement this requirement in your facility, please do not hesitate to contact us.